Hz Lodge is a budget-friendly accommodation located near the Charminar. 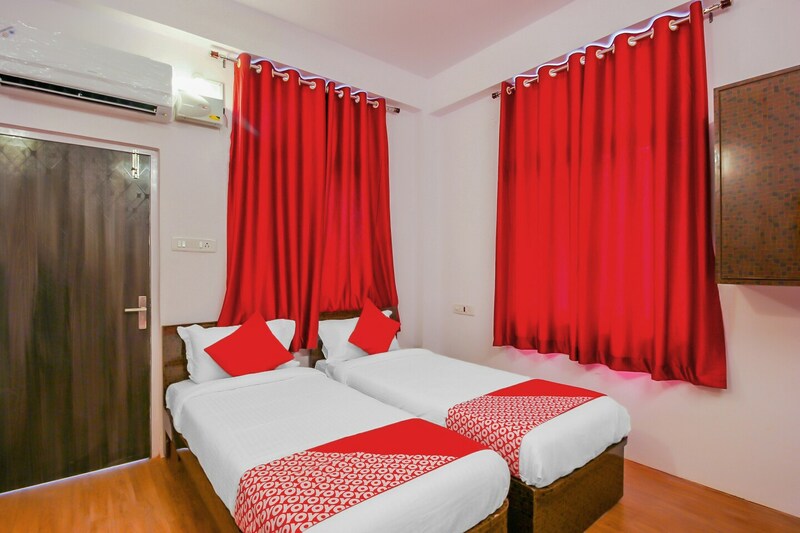 From here guests can easily access many Hyderabad hotspots like Chowmahalla Palace, Nehru Zoological Park, Shergate Palace, Charminar, and the Salar Jung Museum. In the rooms, the colour scheme is light pastel shade on the walls and royal red on the furnishings like curtains. The rooms include an AC, geyser, and TV. Other amenities include free Wi-Fi, laundry service, a dining area, and an elevator. The area is bustling with restaurants and eateries specializing in the famous Hyderabadi biryani and other local delicacies such as Hotel Shadab, Rumaan restaurant, and Cafe Bahar.